This album spread is composed of two photos taken during a Berkeley Church wedding. 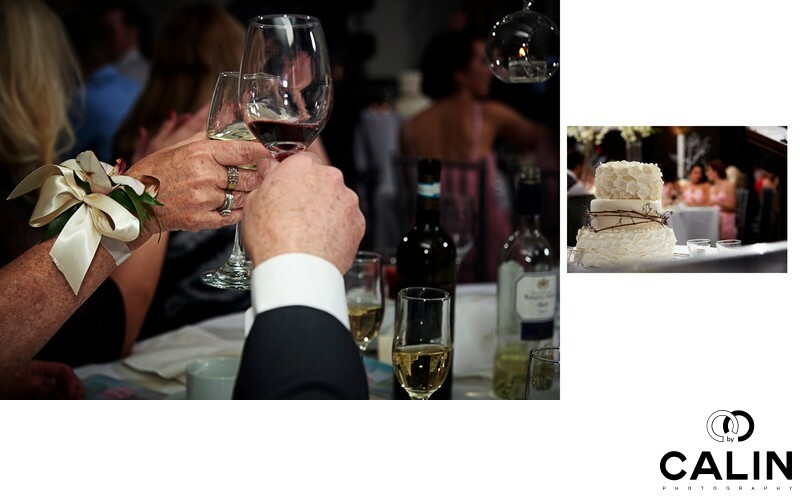 The left image features two hands toasting two glasses to the bride and groom. On the right, one can see a fine art wedding cake and the bridal party in the background. The presence of the bridal party in the detail photos makes the image more valuable for the bride. The cake and the two bridesmaids create a visual diagonal and give the image dynamism.